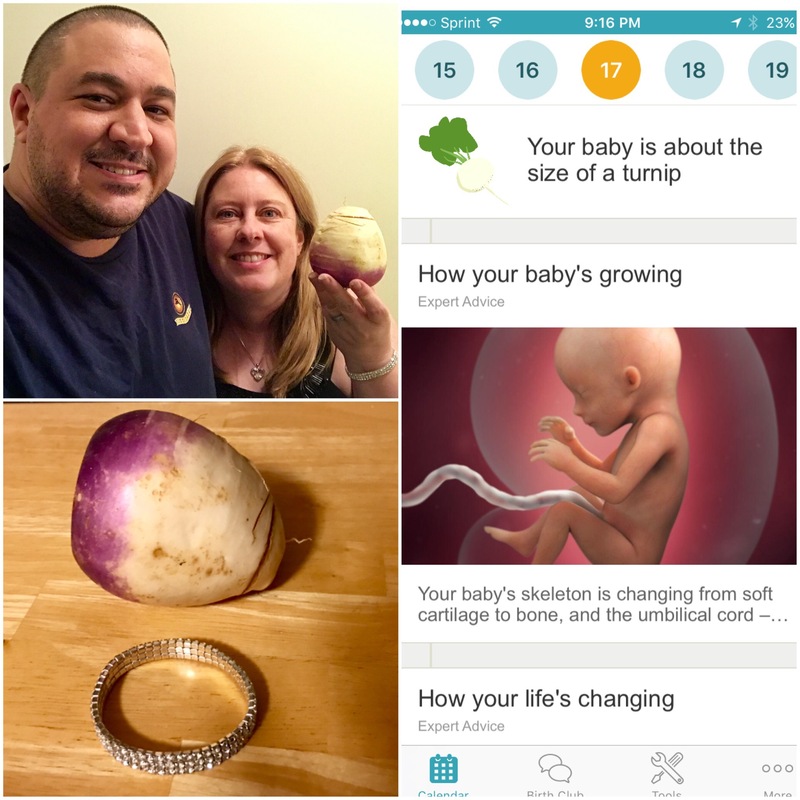 At 17 weeks our baby is the size of a turnip – the first food item that provided a real challenge for us to find at our local grocery store. After asking a produce worker where they are and vaguely being told they were in a cooler to the left, then disappearing on us, we found what we believe is a turnip by looking up pics online. For comparison purposes I put the vegetable next to the bracelet I wore to a friend’s birthday party last night. 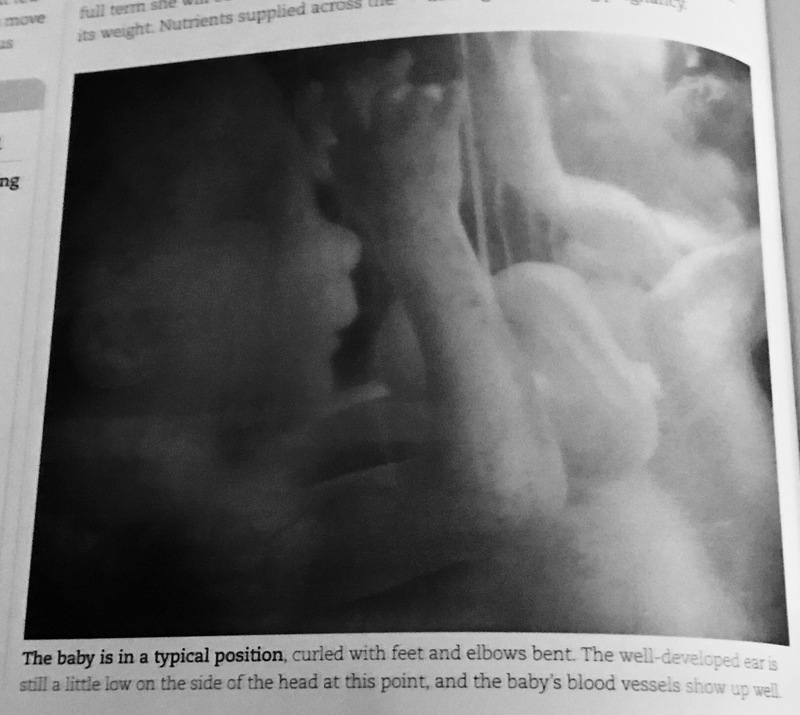 As is pointed out in “Pregnancy” Day by Day, this is a week when baby movements may be felt as flutters. Though I’ve felt these here and there, this is the first week I’ve been able to feel them in response to something I’m doing, such as shifting my body from one position to another, or when walking. This week baby’s skeleton is getting stronger. 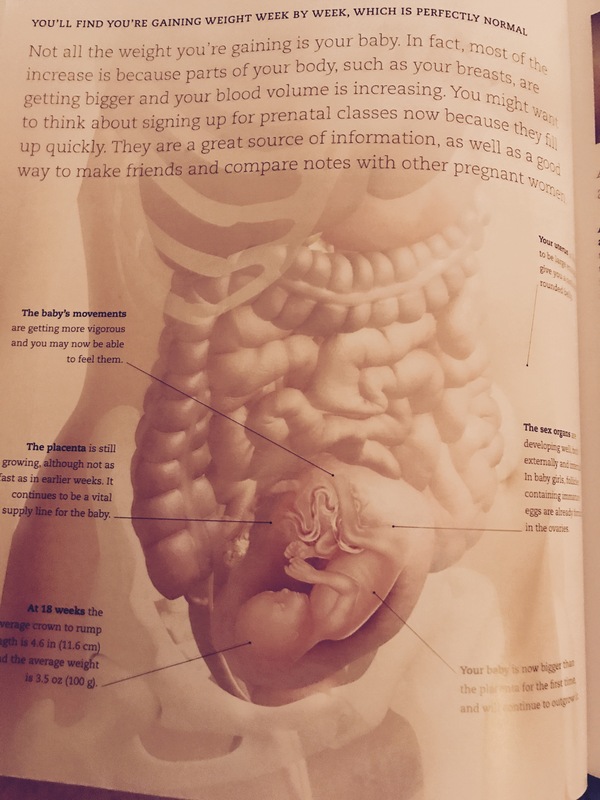 The baby is definitely pushing down more on the bottom of my spine, right where I’ve been having more of the back pain that I told Dr. G about and she said was normal. The baby may curl up like this a lot during the day for comfort or to sleep. 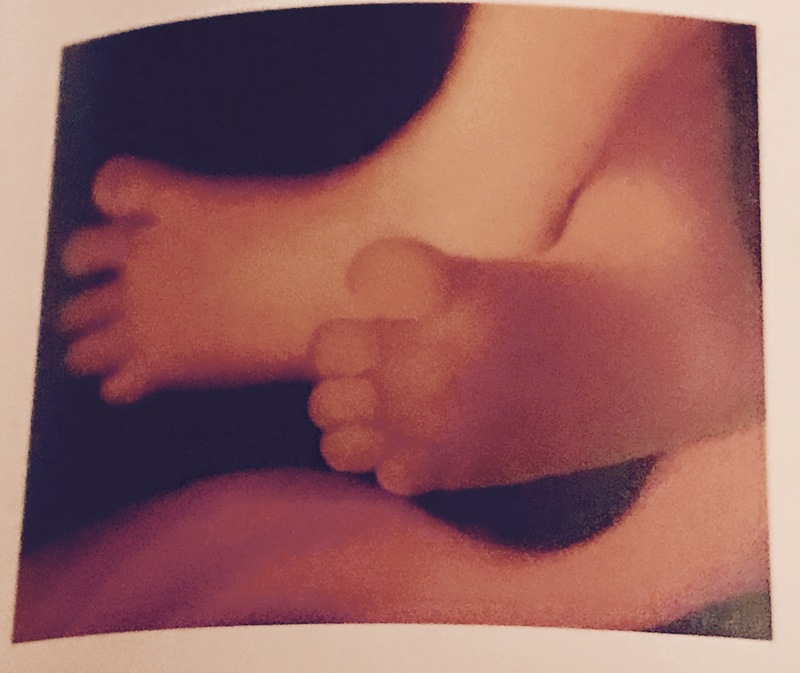 Baby doesn’t have footprints yet, so his or her feet soles still appear smooth like this. One of my favorite changes is in baby’s ears. 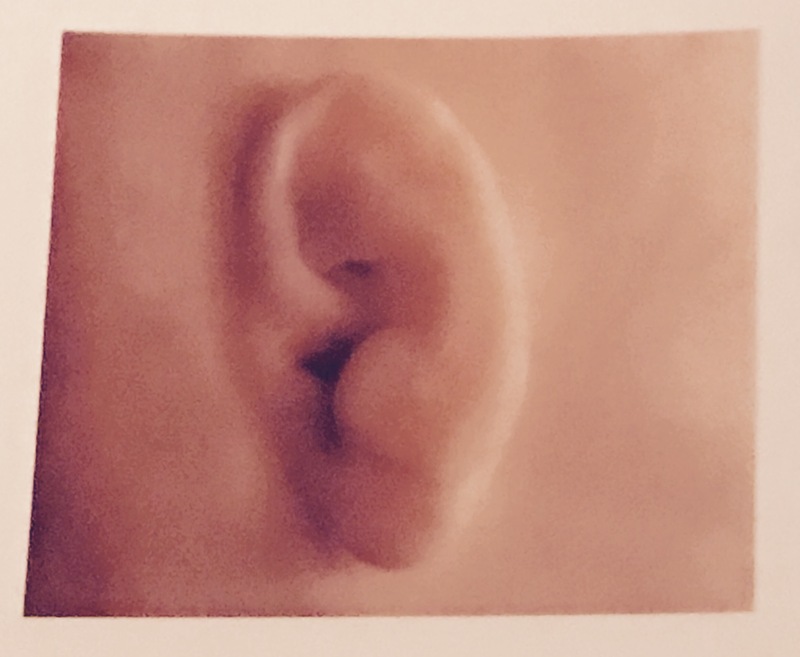 The ears are developing more this week and by next week will be able to hear sounds inside the womb clearly for the first time, which will be the focus of an upcoming blog post.